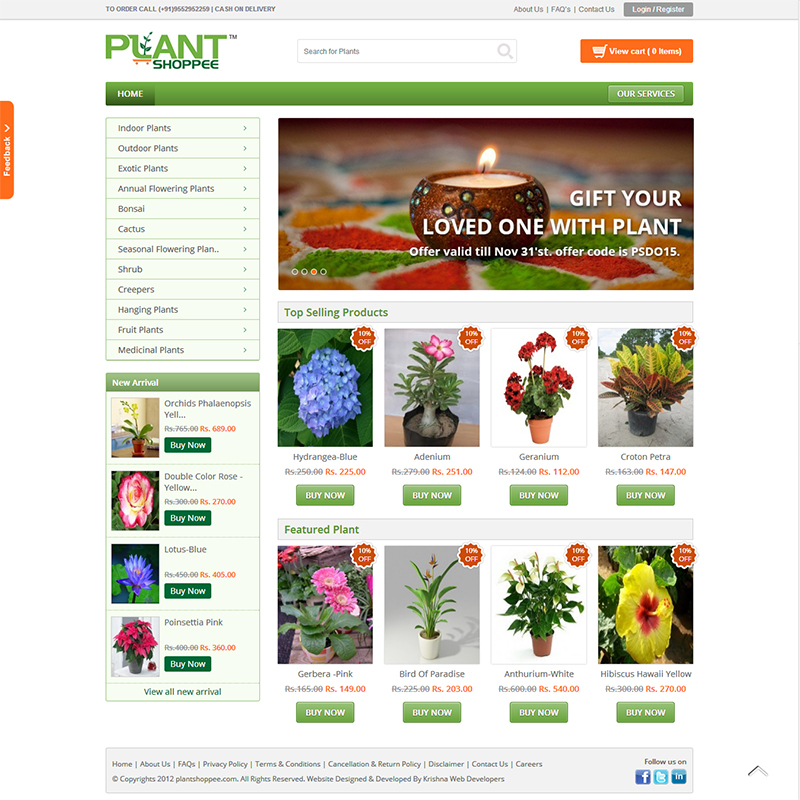 Plantshoppee.com in Online eCommerce Portal where one can buy or shop plants online. Here one can find different plants category separated by different patches like top selling plants and Featured Plant.There is one more separate section to show New arrival.One can shop rare plants at his/her home through secured Payment Gateway or by cash on delivery option. At the time of Order confirmation SMS notification facility is used. Plant Shoppee is an online shopping store to provide you a variety of plants at your doorsteps. Their range of plants is wide: traditional, exotic and even rare also.